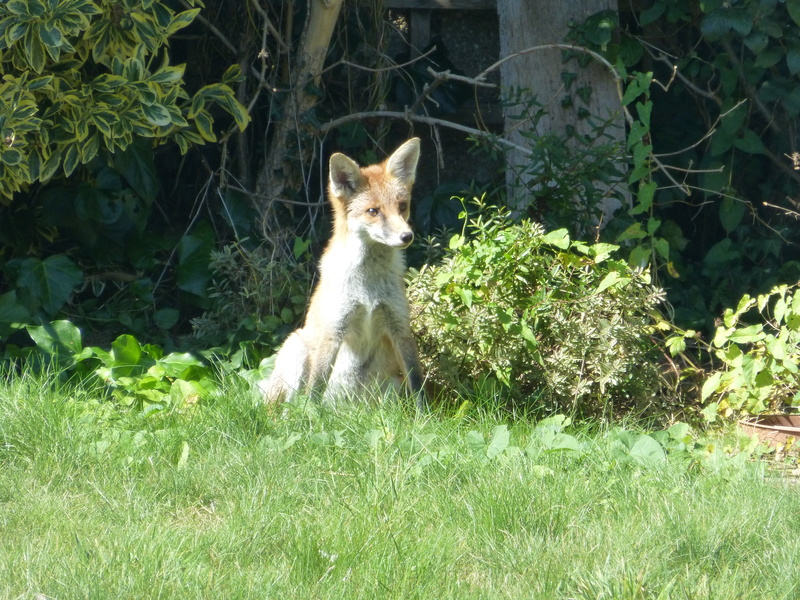 In our garden we frequently have foxes. I say frequently, I’m pretty convinced they live in my garden. I think there’s 2-3 and I see at least one every day. When we moved here we saw our first Fox in April 2015. There seemed to be just one. In the winter this increased to two foxes then back to one. In the Spring of 2016 we started seeing 2-3. I’m sure now that the 2-3 are a Mother and her 2 cubs. 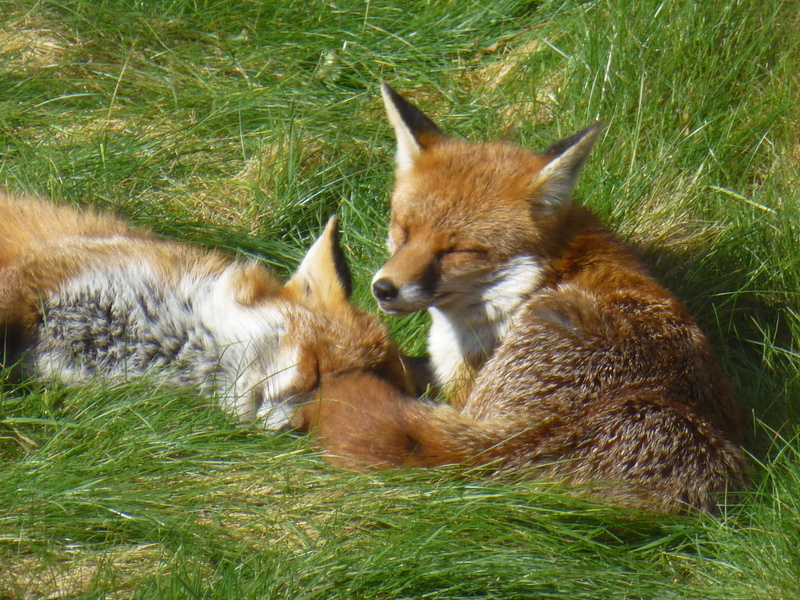 The British Wildlife Centre says “The mating season is December to February …four or five cubs are born in the Spring and the female fox stays with them….They remain with their mother until Autumn” This all ties in with what we’ve been seeing in our garden. 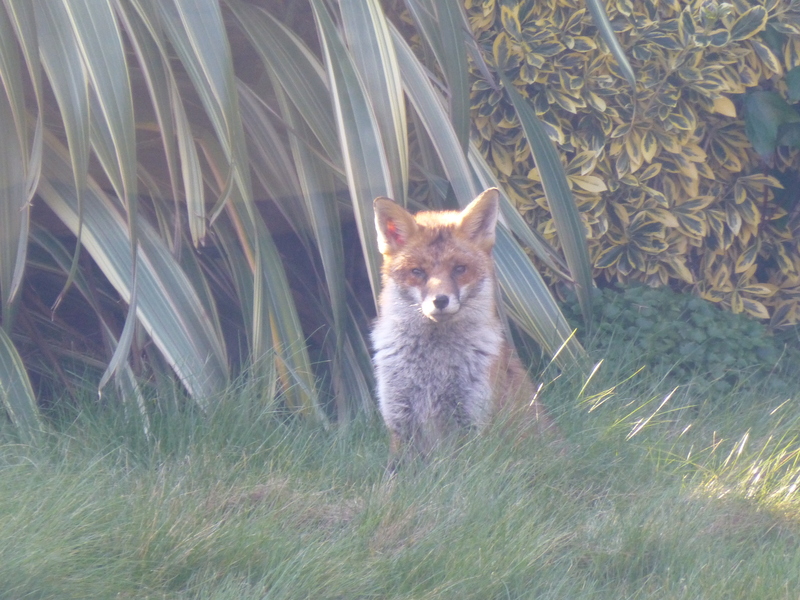 Some people don’t like foxes and try to deter them from entering their garden but I love them. They’re such a delight to watch through the window. But aren’t they dangerous? That’s what the press would have us believe but the first fox we had was confident. If it saw us it’d simply look at us then lie back down and go back to sleep! We once had the door open in the summer and it wandered over. We quickly closed the door so we’ll never know if it’d actually come in to the house but I doubt it as sometimes when we go out in to the garden you can’t see it’s there as it’s asleep in the bushes but you’ll hear it quickly scrabble away if you venture off the patio and on to the grass. Lots of people ask me if we feed the foxes and the truth is we don’t. We give them as much peace as we can. If they’re in the garden we leave them be. The only thing we have started doing is, when we cut the grass, we’ll leave a pile of cuttings for them to have a snooze on. They love a grass bed! It can be tricky to get good pictures of them sometimes. The adult seems far more relaxed around people, the younger cubs though are skittish and incredibly mischievous. They’ll chase the butterflies in the garden and also pinch the squeaky toys from next doors dog meaning we have to go out and throw them back! The pictures don’t always turn out well as I take them through the window you get reflection like the one above but this is one of the better shots of the cubs. They’re not as confident as the adults and often run when they see me with a camera. 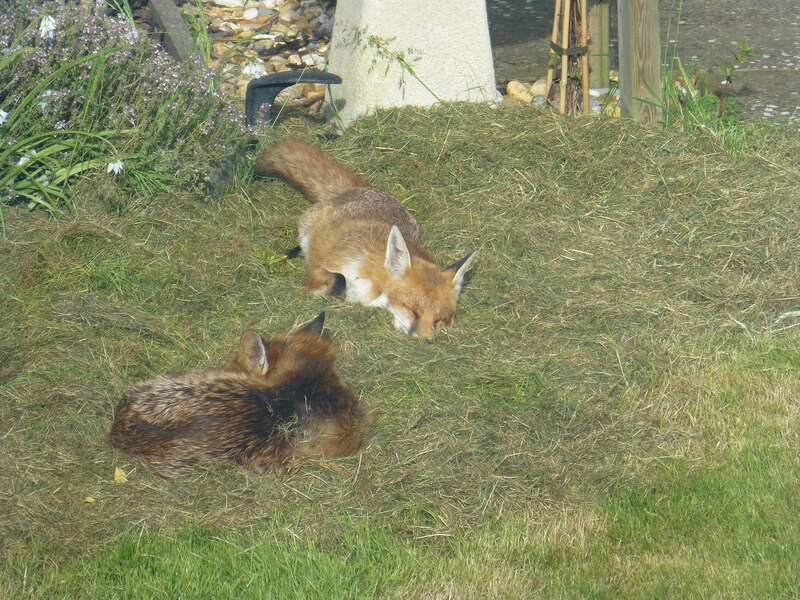 They seem to have a routine of coming in to the garden around 5am and sleeping on and off through the day. Sometimes they’ll have a little get together and play or wash each other or disappear early but usually they’re here until 5pm when they disappear off in to the night to begin their hunting. 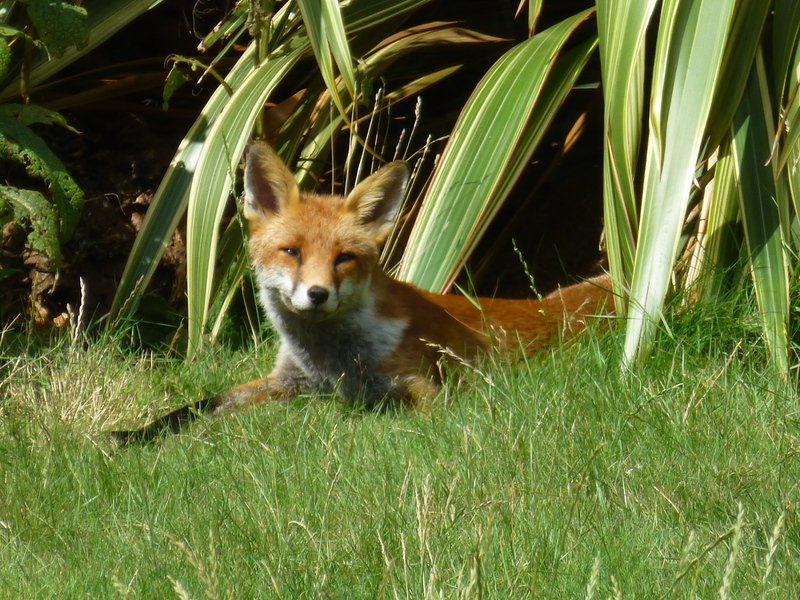 Foxes live just about everywhere – countryside, cities, forests, mountains, grasslands and Lee on Solent! 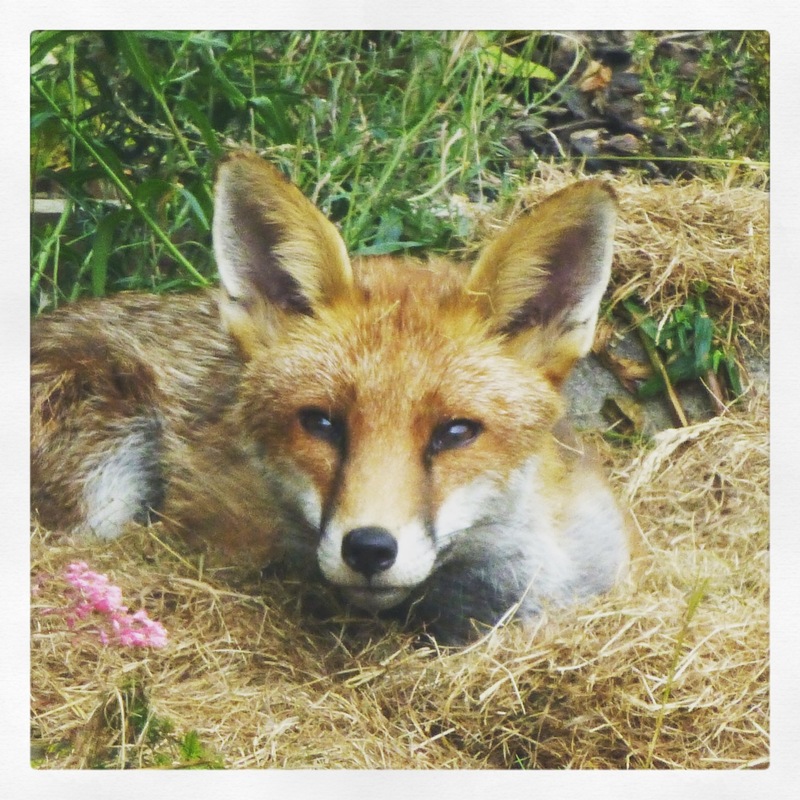 Foxes eat just about anything – berries, worms, spiders and small animals such as mice and birds. I live close to the High Street and I’m sure this will be a food source for them. A foxes home is called a den. 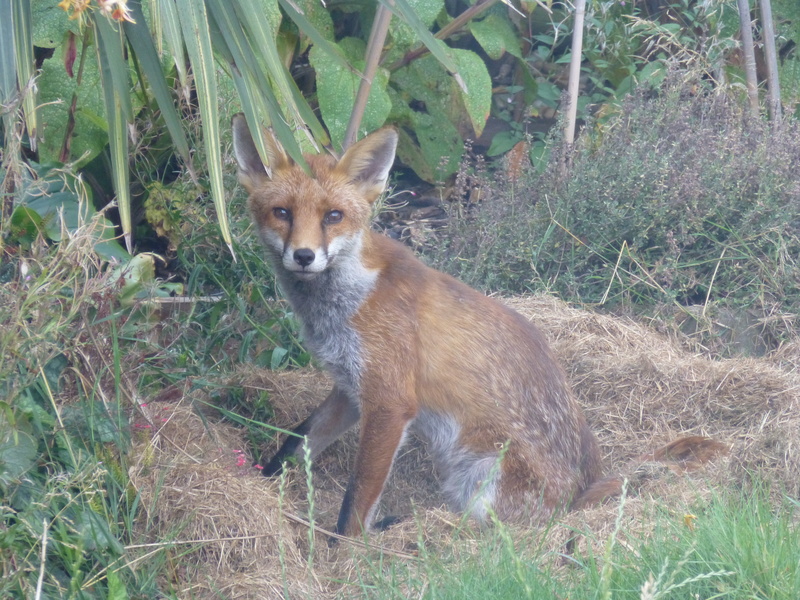 I’ve seen the mother fox making calls towards my shed so I think there den may be under my shed. I hope you enjoyed this post. It’s a bit different to what I usually post but I do love these little guys so decided to share them with you all. What lovely shots! 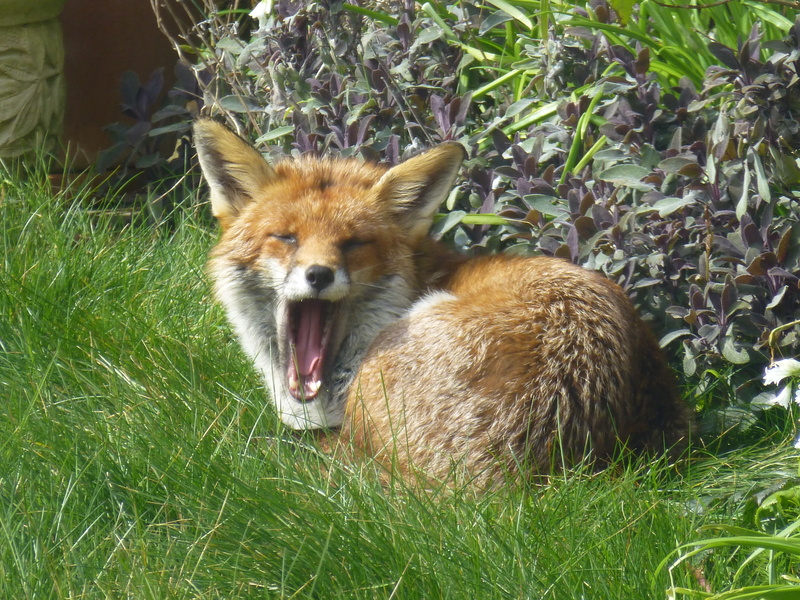 It must be great to see the foxes running around your garden all the time. We used to have a fox living in the fields behind our old house that used to play with our cat. (Always a worry, for both animals!) I haven’t spotted any since we moved last year though.